Mix bok choy, liquid amino acid, extra virgin coconut oil, ginger, garlic, turmeric, curry powder, fines herbs, basil, red pepper flakes together in a large bowl; season with black pepper. 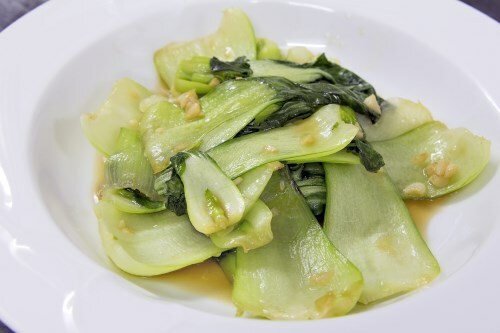 Place coated bok choy on the prepared baking sheet; pour remaining liquid over bok choy. Bake in the preheated oven until thickest ends of bok choy are tender, 6 to 10 minutes.